Save 20 Percent For a Limited Time on your Jewellery and Gifts! 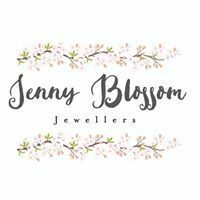 At Jenny Blossom we are offering a massive 20% discount both in our physical shop and online. Our prices are already discounted and there are no codes to enter! The price you see is the price you pay. Remember this is a limited time offer, and there are some fantastic savings on Jewellery and Gifts.